Establishing an effective method of feeding is very important early on in the cleft journey and special bottles such as the Haberman Feeder and Pigeon Feeder can make what may be a fairly stressful period of life, that little bit more comfortable. We are fairly fortunate in New Zealand that these bottles are not all that difficult to source. Sadly, in other countries, these are often seen as a ‘luxury item’ and carry the price tag to match – which makes them unaffordable for some families with children affected by cleft lip and palate. Cleft New Zealand has teamed up with CBL Indonesia (our Indonesian sister equivalent organisation), and One2One Cambodia and FCIC (Friends of Cleft in Cambodia) to enable New Zealanders to donate their bottles once they no longer need them, and give them a second life with a deserving family in Indonesia and/or Cambodia. 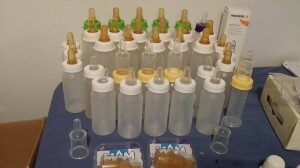 You can donate used (or new) Haberman and Pigeon Bottles and the teats that go with them. Please ensure that they are in a good condition before sending them in. To donate your bottles, you can either drop them into us in Christchurch or mail them to us. 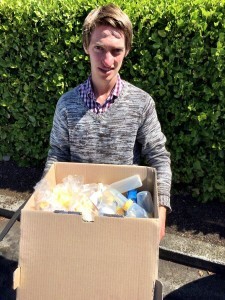 Please email info@cleft.org.nz to donate your bottles. Once we receive your bottles, they will be quality checked, and then we will send them periodically to Indonesia and Cambodia. Our Christchurch bottle handling centre will accept bottles from anywhere in the world.